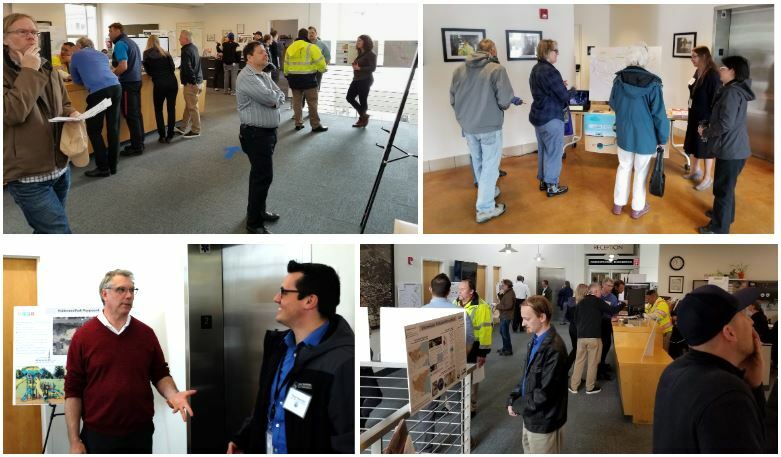 This past Wednesday, our staff at the Department of Public Works and San Rafael Sanitation District hosted their first open house, where we opened our doors for a behind-the-scenes look at the inner-workings of one of our biggest City departments. Collectively, Public Works and the Sanitation District work around the clock to make sure that our infrastructure is in good shape: our roads, traffic signals, sewers, bridges, City buildings, and more. Over 65 community members attended the open house and got to experience things like taking a guided tour of our facility and work areas, examining our equipment and vehicles that help keep the City maintained and safe, learning about our critical infrastructure and our active and upcoming projects (including direct access to our staff who work on those projects), and more. If you missed the open house, don’t worry; we’re open Monday through Friday from 8 a.m. to 5 p.m. to assist you and to answer your questions. If you’d like to meet with staff on a particular Public Works-related topic, feel free to give us a call beforehand at (415) 485-3355 (to make sure that our staff will be available) or contact us at www.cityofsanrafael.org/contactDPW.